We'd recommend keeping it basic with the Versa. If you add top options like the Tech Package, you can drive the bottom-line price up toward $20k. 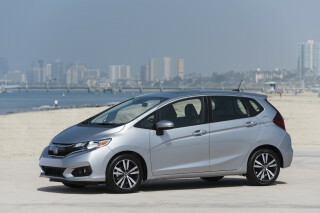 The 2015 Nissan Versa sedan and Versa Note hatchback are as about as inexpensive and no-frills as new cars get today. Spacious interiors and and decent ride comfort are their strong points, and they're best matched up against slightly upmarket, late-model used cars. The 2015 Nissan Versa serves as a great reminder that you can have a new car—and a new-car warranty—as well as a surprisingly good set of features for what's essentially otherwise used-car money. With its extremely low price, if you're willing to forgo some style, technology, and performance, then it's a model to seriously consider. Especially in sedan form, the lineup continues to appeal to those who like their small cars to emulate something larger—unlike, say, trendsetters like the Fiat 500 or Mini Cooper. Instead, the Versa takes after its larger Sentra and Altima siblings in its styling and design; and for 2015 it gets a sharpening inside and out with a few new details that might make kick it a little more upscale. On the outside, the front end gets a little more chrome and a resculpted fascia, while inside there's a new steering wheel and reshaped center stack, along with new white instrument lighting. Whether the 2015 Nissan Versa appeals to you or not is definitely a matter of managed expectations. While it appears quite refined, with the curvy roofline and flowing sheetmetal looking almost Infiniti-influenced from some angles, the proportions don't work out as well from the front or the rear, and up close, modest and undeniably basic are more appropriate, especially inside, where the trim and switchgear still have a very simple, part-bin look. Unfortunately, the Versa isn't very enjoyable to drive—especially with the CVT and its sluggish responses, in addition to 11.5-second 0-60 mph times. 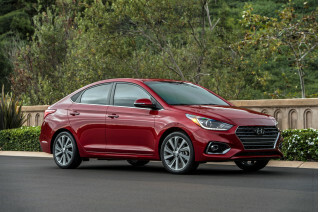 The 109-horsepower, 1.6-liter engine can also be had with a traditional four-speed automatic transmission or five-speed manual, but both of those are only offered in base Versa S versions. While the steering is reasonably well-weighted, it's just too light and requires too many small corrections at speed. Add it all up and you have a car that has no pretensions of being sporty or fun (and isn't). 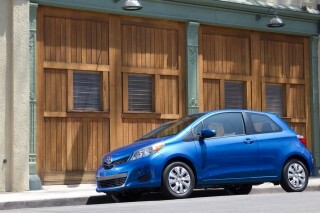 Space-efficiency and ride comfort are what the Versa Sedan and Versa Note do provide in abundance. Either of these models are very spacious considering the exterior size, but we wouldn't try to make four taller adults try to travel together here. The seats are short and flat and not all that comfortable (although there's a new base seat fabric this year), and in back it's surprising that in base Versa Sedans the rear seatbacks don't fold—not even as a single piece. The trunk is huge, though. Hatchbacks do better with versatility, of course, and they have a new Divide-N-Hide feature that lets you hide items in back while keeping a flat cargo floor. The soft suspension manages to soak up road imperfections without losing its composure—an impressive feat in this class. Few clunks or thunks make their way into the cabin; and with more sound deadening and better aerodynamics, it's reasonably quiet as long as you're not pressing the powertrain. The 2015 Nissan Versa lineup meets all of a budget-strapped, pragmatic urban commuter's needs -- until you get to safety. Whether looking at the Nissan Versa Sedan or the Versa Note hatchback, you'll find that these models' safety ratings are a bit checkered. Feature-wise, all the typical small-car safety bases are covered. You get roof-mounted side airbags covering all outboard occupants, plus standard electronic stability control and front side-impact torso airbags. For a vehicle that has a bottom-line price starting well under $13,000, the 2015 Nissan Versa offers an astonishingly complete feature set. Of course it's different than what you'll find in a mid-size sedan, but you get a lot for the money. For 2015, the Versa lineup gets Bluetooth connectivity and hands-free calling even in the base S trim, and the base audio system now has an auxiliary input. The feature list on base Nissan Versa S models includes air conditioning, but otherwise it's strictly the basics, with manual wind-up windows and no power mirrors. Mid-level Versa SV models are a significant step above that, adding Bluetooth, upgraded cloth seats with six-way adjustability for the driver, a leather-wrapped steering wheel, and chrome and silver interior accents. Add the SL package, and you get Intelligent Key, an immobilizer system, sun-visor extensions, and a driver's seat armrest. And you can step up to the SL Package with things like fog lamps, heated seats, and a navigation system with NissanConnect (XM NavTraffic, app capability, and point-of-interest features) and a a rearview monitor and Around View Monitor. And with a Tech Package you can add a 5.8-inch color touch screen, voice recognition, points-of-interest via Google, Bluetooth streaming audio, a hands-free text-messaging assistant, and heated side mirrors. The Nissan Versa tends to disappoint up close, but can look more upscale at first glance. Versa Note hatchbacks are more smartly dressed, though. The 2015 Nissan Versa lineup continues to appeal to those who like their small cars to emulate something larger -- unlike, say, trendsetters like the Fiat 500 or Mini Cooper. Instead, the Versa takes after its larger Sentra and Altima siblings in its styling and design; and for 2015 it gets a sharpening inside and out with a few new details that might kick it a little more upscale. The changes for 2015 are most apparent at the front end, where larger headlights, a more sculpted front fascia, and chrome plating for the grille all add up to a look that's even closer to those larger Nissan sedans. This year, the SV and SL trims of the Versa get a new fog light finisher, with integrated turn signals on the SL, and SV models have a new 15-inch, V-spoke alloy wheel design. 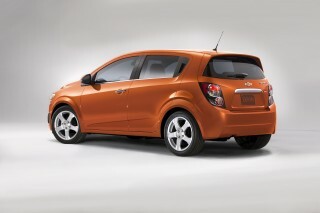 The Versa Note hatchback, which joined the lineup last year, has a design that we think is far more interesting. With different sheetmetal, along with sportier designs for the headlights and taillights, plus proportions that make it less homely than its sedan counterpart, it's less of a low-rent companion to the Sentra and Altima and more its own entity. The Versa Note's short front and rear overhangs, aero-smoothed shape, and general proportions settle better than those of the Sedan from many paces back, as well. It's not exciting, but at the same time not nearly as bland as the Toyota Yaris. The hatch gets completely different styling in back, with taillights that have similarities to the Juke and 370Z, with a swoosh-like design. Our favorite design element is the character line on the sides, which Nissan calls the 'squash' line. There's a little more in common between the models inside, especially if you're looking from the front seats forward. It's undeniably basic, and follows small car tradition in offering a parts-bin look, with a collection of cues and switchgear. The interior is arranged around a dual-cockpit theme, with two sweeping lines on the dashboard. Hard plastic is typical in this class, but the Versa has an abundance of it. For 2015, the shape of the center stack for the Versa Sedan has been made more like that of the Note; there's also a new, 'more substantial' steering-wheel design, and the instrument-panel lighting is now white. In either case, the climate controls consist of three easy-to-use knobs. We like the dual-gloveboxes, but find it odd how Nissan gives these models round air vents on either side of the dashboard while the center stack gets rectangular ones. Save your excitement for something sportier; the 2015 Versa can merge and keep up with traffic, but not much more. 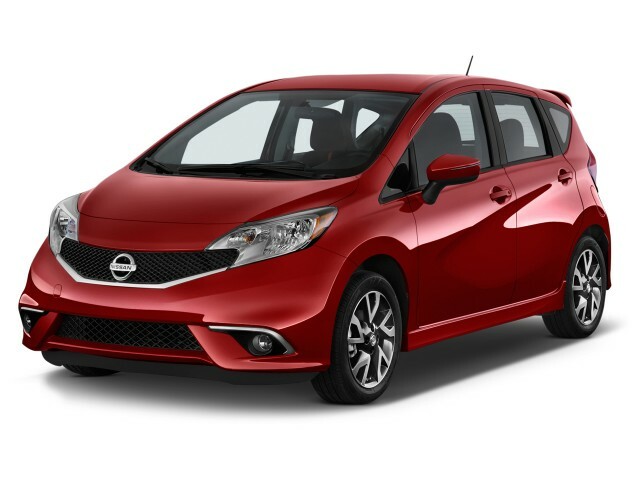 There's not much driving excitement in the 2015 Nissan Versa, and this is a vehicle that makes no claims of being particularly fast or responsive. Provided you understand that, the Versa delivers on its mission, of putting the priority on interior space and value -- and performing economically, yet adequately. The 109-horsepower, 1.6-liter four-cylinder engine comes with a dual fuel-injection system plus twin continuously variable valve timing, and with the continuously variable automatic transmission (CVT) can achieve 40 mpg on the highway. That's the good news; the news that some might find disappointing is that the Versa isn't much fun to drive. With 11.5-second 0-60 mph times, and sluggish passing responses from the CVT, leisurely drivers are going to be fine, but if you equate small with perky, you should probably look elsewhere. Keep in mind that the Versa sedan can also be had with a traditional four-speed automatic transmission or five-speed manual, but both of those are only offered in base Versa S versions, and we really don't recommend those models as they can feel even more sluggish than the CVT. In most other ways, the Versa is competent but not at all a remarkable performer. The steering is quite well weighted, but too light, with the need to make too many small adjustments; although it's easy to place on tight city streets. Anti-lock front disc and rear drum brakes do the job just fine. 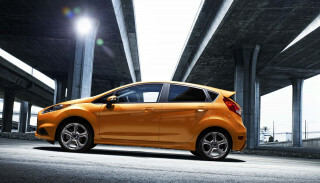 Whether you're looking at the Versa sedan or Versa Note hatchback, 'no frills' is the theme, although both versions are spacious and quite comfortable. 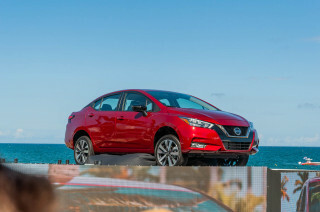 The 2015 Nissan Versa lineup remains one of the better picks among compact sedans and hatches, all said, as it adds up to a lot of space and comfort for very little money. Ride comfort is definitely a step ahead of the budget-strapped small-car norm, and while Nissan's claims that the Versa Sedan offers mid-size space might be true in numbers only, this is one of the few of the very affordable small cars to easily, comfortably fit four average-sized adults. Just don't expect the experience to be plush, cushy, or all that supportive. The front seats in the Versa have an odd construction that contours around your back and holds you in place; yet the bottom cushions are super-flat and short, letting you slide around. The middle position in the back seat isn't nearly as well-contoured as the outboard positions. One criticism—especially if you're cross-shopping mid-market models from even a few model years ago—is that the Versa's cabin appointments feel decidedly economy class, and never anything above that. Materials and trims are hard and hollow. Trunk space is huge for a subcompact or compact sedan, but it's odd that rear seatbacks don't fold forward—not even as a single piece—on many of the models. Chalk it up to cost-cutting. In hatchbacks, however, all rear seats are 60/40-split and fold forward, with a special Divide-N-Hide system that creates a flat cargo floor, yet with recessed areas underneath to either hide smaller items or accommodate larger, taller ones. Lifting up the cargo floor board reveals a hidden area underneath to keep valuables out of sight. And when more space is needed for carrying taller or bulkier items, lowering the floor board creates a deeper cargo well. 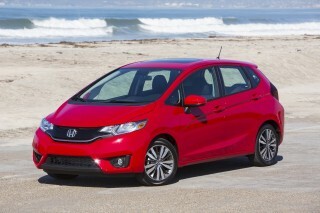 Refinement and cabin quiet are exceptionally good for such an affordable vehicle. The Versa's suspension is soft and absorbent compared to many other small-car models, so ride quality is quite good, and the Versa does well in soaking up urban potholes or freeway choppiness. And Nissan went to great lengths to tweak the aerodynamics of the Versa Note, and there's quite a bit of sound deadening placed around the vehicle (although there's a lot of boomy engine noise in CVT versions). You could definitely do better than the 2015 Nissan Versa if safety is your priority. The 2015 Nissan Versa lineup meets all of a budget-strapped, pragmatic urban commuter's needs -- until you get to safety. Whether looking at the Nissan Versa Sedan or the Versa Note hatchback, you'll find that these models' safety ratings are a bit checkered. Feature-wise, all the typical small-car safety bases are covered. You get roof-mounted side airbags covering all outboard occupants, plus standard electronic stability control and front side-impact torso airbags. And it takes looking at each of the U.S. crash-test ratings for both body styles, which have been tested separately, to understand that each model has some distinct occupant-protection weaknesses. The Insurance Institute for Highway Safety gives the Versa Sedan 'good' ratings in most areas of testing from the agency, it gets a worrisome 'poor' rating for small overlap frontal protection. Ratings from the federal government aren't nearly as good; it earns just three stars for frontal impact from the federal government (with four stars for side impact and overall). Versa Note hatchbacks do only slightly better in the federal tests, with five stars for side impact but the same frontal and overall scores -- although they have the same lousy three-star frontal rating, at a time when nearly every car on the market does four stars or better. As a price and value leader for the U.S. market, the Versa keeps expectations low. For 2015, the Versa lineup gets Bluetooth connectivity and hands-free calling even in the base S trim, and the base audio system now has an auxiliary input. The 2015 Nissan Versa offers an astonishingly complete feature set, for a vehicle that has a bottom-line price starting well under $13,000. Of course it's different than what you'll find in a mid-size sedan, but you get a lot for the money. The feature list on base Nissan Versa S models includes air conditioning, but otherwise it's strictly the basics, with manual wind-up windows and no power mirrors. Mid-level Versa SV models are a significant step above that, adding Bluetooth, upgraded cloth seats with six-way adjustability for the driver, and a leather-wrapped steering wheel. To the SV, you can add the Convenience Package, with its upgraded audio and 4.3-inch display, including SiriusXM Satellite Radio (SiriusXM subscription required, sold separately), USB input with iPod control, RearView Monitor, rear seat armrest with cupholders, and a Divide-N-Hide® Adjustable Floor that helps with cargo stowage. At the SL level, you get Intelligent Key, an immobilizer system, sun-visor extensions, and a driver's seat armrest. And you can step up to the SL Package with things like fog lamps, heated seats, and a navigation system with NissanConnect (XM NavTraffic, app capability, and point-of-interest features) and a rearview monitor and Around View Monitor. An SL Tech Package brings all of those upgrades, with a 5.8-inch color touch screen, voice recognition, points-of-interest via Google, Bluetooth streaming audio, a hands-free text-messaging assistant, and heated side mirrors. 2015 Nissan Versa models with the CVT get the best mileage. Fuel economy ratings for the 2015 Nissan Versa tend to be most impressive if you get one of the models with the continuously variable automatic transmission (CVT). 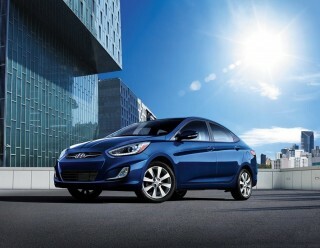 EPA ratings for the entire lineup stand at 27/36 mpg for the five-speed manual or 26/35 with the conventional automatic. 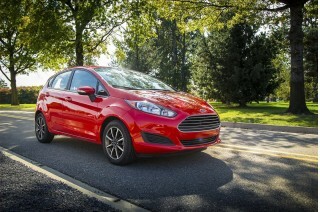 The Note isn't offered with the four-speed automatic transmission, however. For S Plus CVT, SV, and SL models, if you get the CVT, you step up to ratings of 31 mpg city, 40 mpg highway; that's not stellar, but it's better than many vehicles in this class. With the AC on the car needs more power. The car is fine for everday driving. I have grown to love this vehicle.. The Nissan Versa gets mixed reviews because of its CVT transmission. I love it. I question the review above that says it takes 11 seconds 0-60. I find it gets up to speed quite face. At slow speeds, the CVT... The Nissan Versa gets mixed reviews because of its CVT transmission. I love it. I question the review above that says it takes 11 seconds 0-60. I find it gets up to speed quite face. At slow speeds, the CVT has a feeling of kicking back, almost slowing down the car without using the brake. I actually find this pleasant, smooth, and giving me more safety and control; others will differ with me. I also disagree that the car is not fun to drive. It's fun because it feels like the ride of higher end Nissan's at less than half the cost! The seats feel good. Nissan added a lumbar support bad and, for men, there is what seems to be a support for the groin area that takes away the discomfort one experiences, for lack of a better analogy, from a typical bicycle seat. While smooth and speedy, the car does rock a little on the highway, but again, that just makes it fun to drive because it does respond and leave you feeling that you're in control. My biggest complaint is its lack of a place to rest your right arm while driving the car with just the left. For long drives this could be a nightmare. I looked at a lot of cars but finally narrowed the field to smart choices. I didn't need a V-8 or six. I didn't require two and a half or three tons of automobile. I wanted something I could actually park and... I looked at a lot of cars but finally narrowed the field to smart choices. I didn't need a V-8 or six. I didn't require two and a half or three tons of automobile. I wanted something I could actually park and I was so tired of buying so much gasoline. It occurred to me that we fight wars for gas now. I don't like that. So, I decided to do what Canadians do and buy a reasonable car. No more huge price tags, no more bad mileage, no more environmentally unfriendly. And I didn't want a vehicle with two power plants. That would be expensive to fix when it fails. I like the idea of all electric but not the real miles per charge. I don't want to live that way. So, the Nissan Versa Note won. It's decent sized inside, small outside and get great mpg's with an automatic transmission. Additionally, real adults can easily fit into the back seat. I got the SL with the tech package. It cost more but I love the features. It has alloy wheels, fog lights, heated seats, push button start, GPS, it's quiet and a smooth cruiser on the highway. And the CVT transmission lets the car go right up a hill. It's amazing! No down or up shifting. The seats are even comfy for a long ride and I fit it unlike the Honda Fit. I have no regrets and I recommend this car highly. Perfect for road trips and daily commutes. I purchased this car new in October. It gets great gas mileage and drives smoothly. The interior is perfect for tall people. I am 6'3. The radio sounds great compared to most compact cars. The CVT is Love/hate... I purchased this car new in October. It gets great gas mileage and drives smoothly. The interior is perfect for tall people. I am 6'3. The radio sounds great compared to most compact cars. The CVT is Love/hate deal. I love that the car gets great gas mileage with the CVT. I hate that the CVT lags at slow speeds. on the whole, this car is great for the money intended to be spent. My budget was 16,000. I feel I got a lot for the 16,000 that I spent on the car. I would recommend this car to anyone looking for a reliable and fuel efficient car. This car and high speed even at 50mph could be dangerous! Looking for a different year of the Nissan Versa?